Mixed martial arts follows a unified rule set under which several weight classes are clearly established. As with all fighting sports, weight regulations allow for more balanced competition and in turn better fights all-round. Here we are taking a closer look at the individual weight divisions, seeing why it is important to at times cut weight and analyzing what options you have available to make your weigh-in work advantageously. A fighter’s weight can be quite different on fight night from their weight at the weigh in. The weigh-in typically happens a full twenty-four hours before the actual fight occurs. 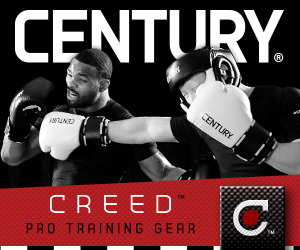 This gives fighters the opportunity to cut weight before stepping into the arena. Any MMA fighter wants to increase their lean muscle mass as much as possible. The athlete with the lowest percentage of body fat has the clear advantage over his opponent. Cutting or dropping weight often leaves a fighter with a stronger, leaner appearance on fight night which of course gives a psychological and physical advantage. To see this in a physical example, imagine a fighter weighing 185 pounds who has 14% body fat. This leaves him with a lean muscle mass totaling 159 pounds. Now imagine his opponent, weighing in at 197 pounds but carrying only 7% body fat. While this may be difficult for most, a nutritious diet and outstanding training regiment does make it possible. The 197 pound fighter thus has a lean muscle mass of 183 pounds. 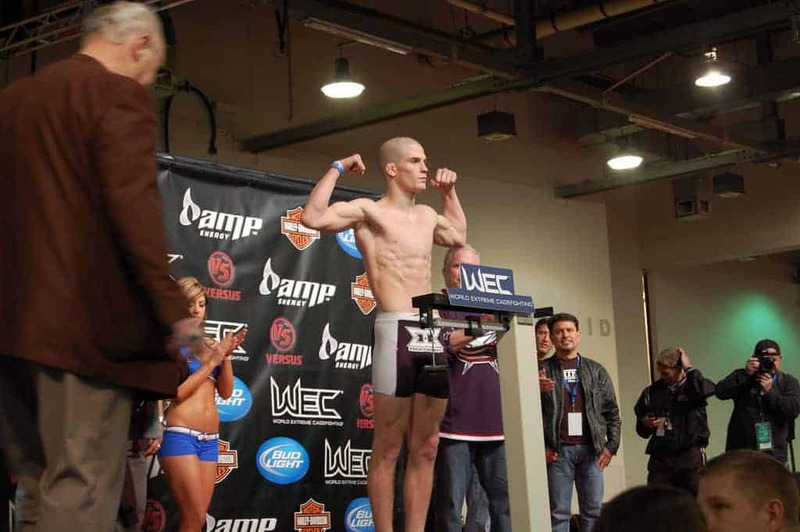 If he can cut his weight temporarily for the weigh-in then this technically means that he is approximately 25 pounds larger than his opponent. This is a massive difference. If you consider this carefully you will see that this MMA fighter is almost a whole weight class bigger than his opponent. If you decide to cut weight before a fight then you should only do so under the supervision of a physician. The practice can be extremely dangerous and will negatively impact your performance if not done correctly. Cutting weight is a veritable art form which takes a careful balance and a well-thought out strategy. There are even certain weight loss exercises which should be avoided completely. Avoid last minute sweating and extended dehydration completely. Sweating is one of the worst for your performance and health. One is at times advised to cut the extra pounds just before a fight by means of intensive exercise in heavy clothing or a plastic suit. It is believed that by raising the core temperature quickly the pounds will drop. This does at times help and does in a way work but it expends a great deal of energy. You need all of your energy for your fight, the stamina is essential to going the distance. By no means should you ever dehydrate yourself before a fight in order to shed weight. You cannot go for more than twenty-four hours without water. Our muscles are comprised of almost 70 percent water. When you are dehydrated your strength and speed are sapped. Some athletes even go without food for a few days before a fight. Unless you really know your body, how can you ever expect to enter into a fight while being malnourished. Never cut out water or nutrition in order to cut weight. Your number one goal should be to reach the lowest percentage of body fat possible. One needs to establish a healthy diet before beginning to add any form of supplements. In the last few weeks of training before a match, it is recommended that you begin to lower your daily calorie intake. Most mixed martial artists who fight above the 170-pound division aim to drop between ten and twelve pounds below the allowable maximum for their division. Always track your weight and keep record of your calorie intake while training. This will give you a great foundation to work from when trying to figure out how much to adjust to lose a pond. For example, if a fighter is taking in 3075 calories per day to sustain his 205 pound weight and wishes to hit a target weight of 195 pounds then his records will reveal how. He will then proceed to determine that he needs to drop his caloric intake by 500 pounds daily to keep the same training routine and lose a single pound per day. In this way the fighter needs to start cutting his caloric intake just thirteen days before the fight. A great way to ease the hunger and the mind is to up your water intake while decreasing your calories. Keep track of how much water is consumed and always drink a quantity of water which is equivalent to your weight. For example, if you weigh 200 pounds then drink 200 ounces of water, or just over one and a half gallons. Seventy-two hours before fight night you can start gradually slacking down on the amount of water that you drink, just don’t stop drinking water completely!